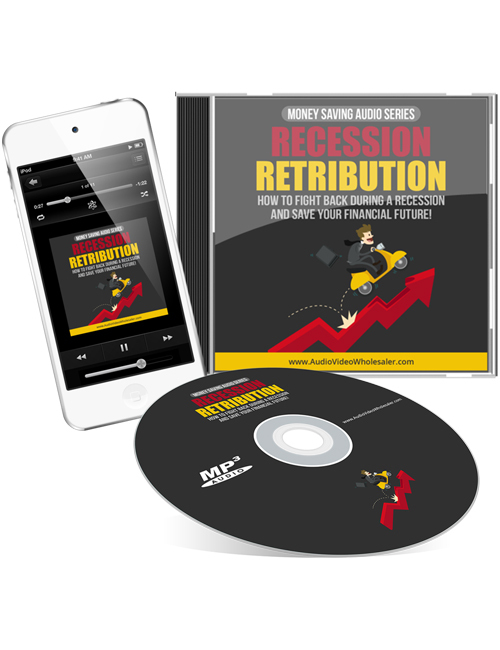 Recession Retribution – How To Fight Back During A Recession And Save Your Financial Future is a 6 part audio that gives you the confidence in realizing that the world isn’t over because of a recession. Sure many people will struggle but if you are careful in how you live and how you save your finances, you can pull through. This audio is very useful in providing the best tips in how to go about dealing with tough times. Obviously miracles aren’t provided so you need to rely on yourself to deal with economic troubles but if you have sound advice, you can do better than you’d imagine. Life can be tough for everyone during recessions, especially for business-owners. But with good planning, you can meet any recession head on and feel solace and comfort knowing that you are capable of surviving. Grab this audio because it matters to your future and being ready for what might come ahead.